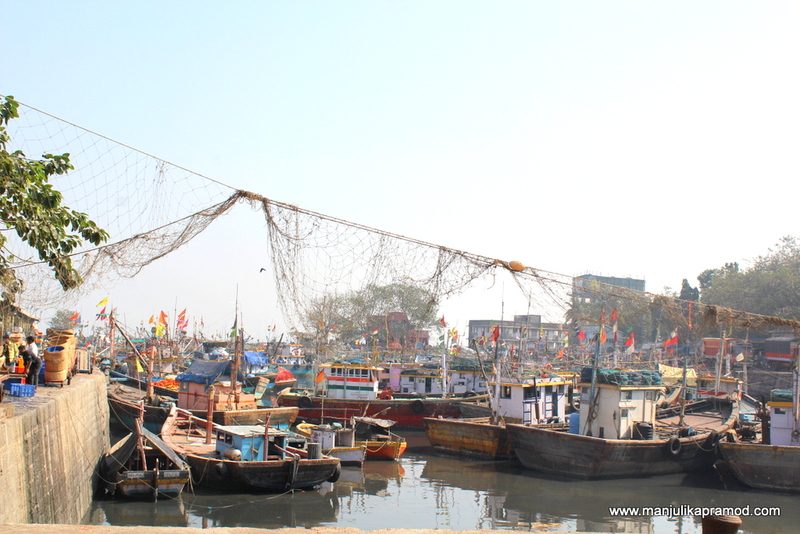 Do you know about Sassoon Docks and Koli fishing community of Mumbai? I took a trip to the docks with a friend and see what we found. 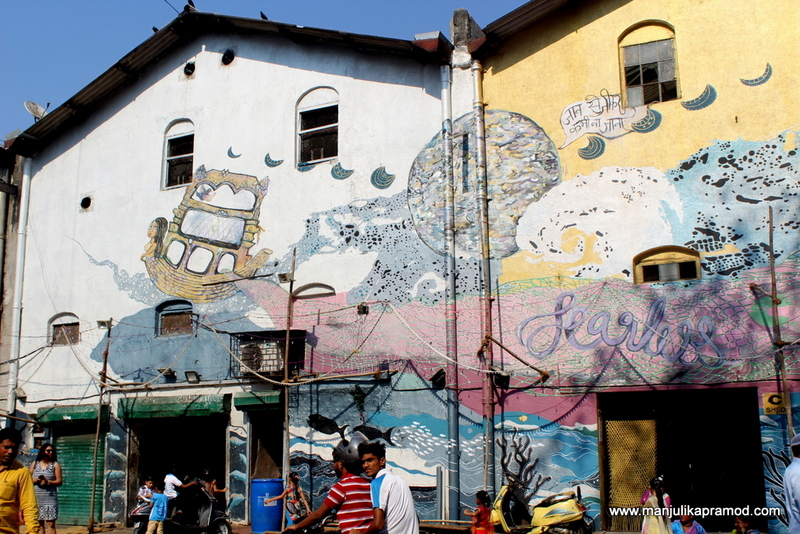 You will be surprised to know that this open-to-public fishing market is 142 years old, an asset of India. 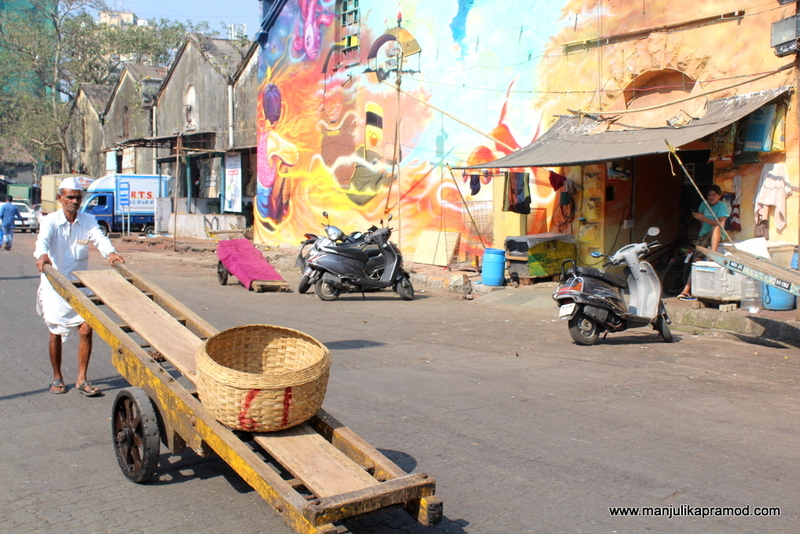 It is also Western India’s first wet dock constructed in 1875 in Colaba. 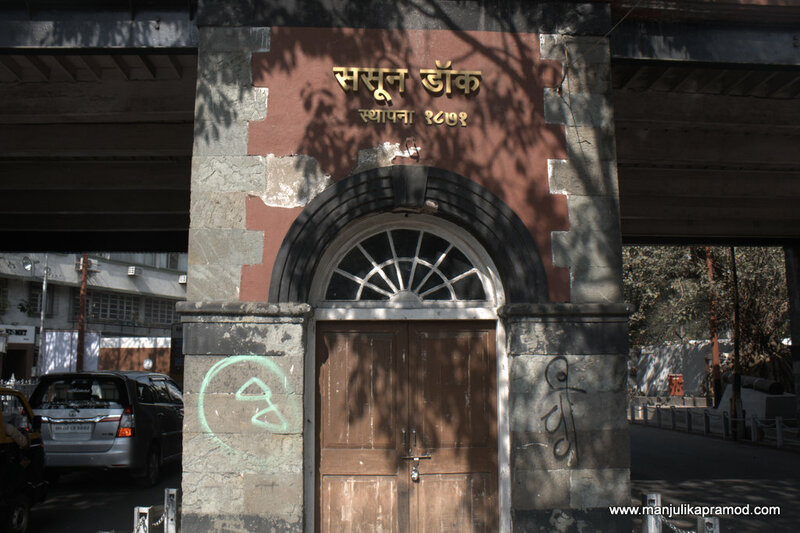 Since it was built by the banking and mercantile company David Sassoon & Co., it has thrived with the name Sassoon, forever. This dock was famous for cotton trade but later it was reduced to a fish market. While the entrance is huge and welcoming, the fishy smell keeps the general public away. I bet you definitely need a strong reason to walk inside and explore the history of the forgotten Koli clan. 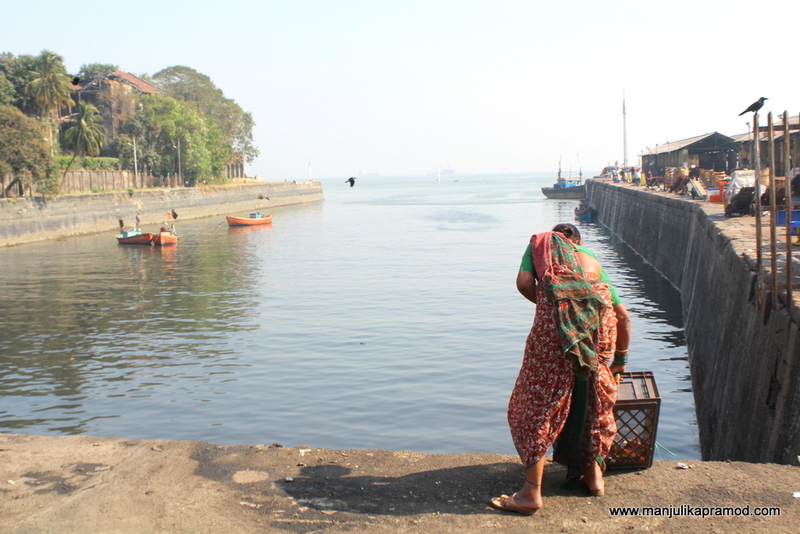 Not many of us know about the Koli fishing community and how it has been a part of history and heritage of Mumbai. The Koli women make a significant contribution to the running of the fishing trade and the fishing economy as a whole. 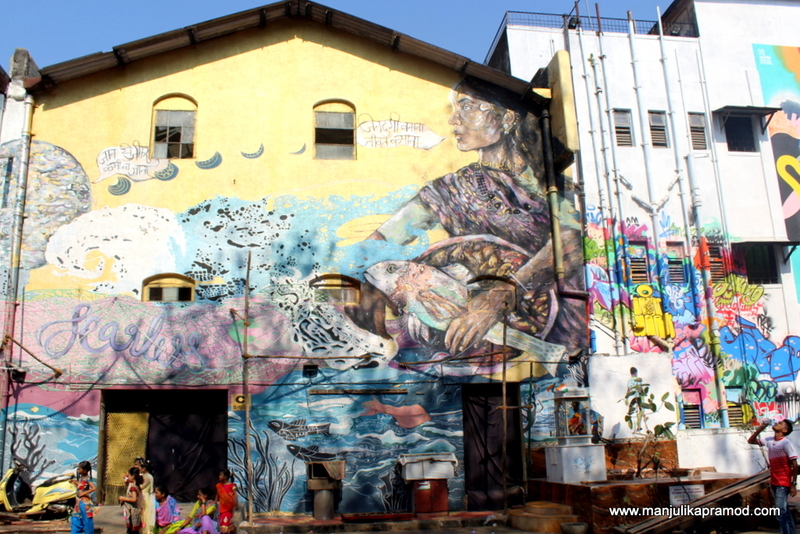 This historic fishing district has become a forgotten name among the Mumbaikars until it is part of your neighborhood but in December 2017, 30 artists from around the world gave an artistic makeover to this dock and transformed it into a art space. The impact was such that no art lover could keep away from visiting it atleast once . 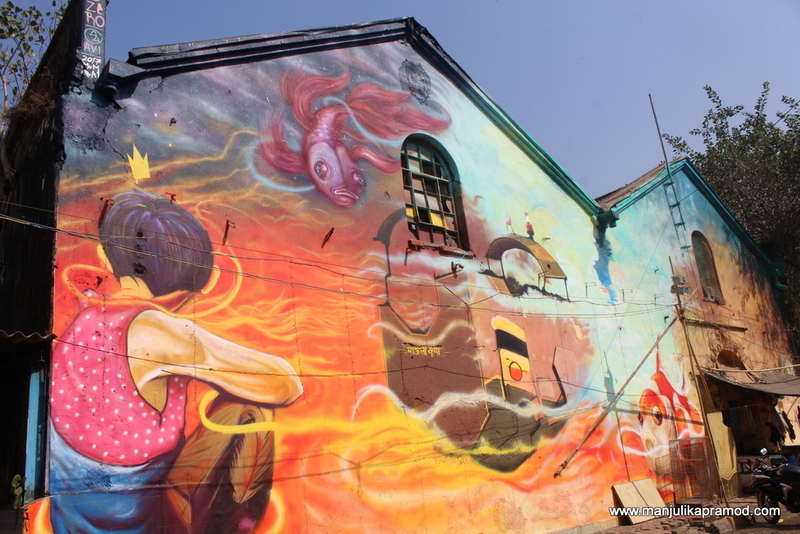 Though the stench of the fresh fish catch is enough to put you off the moment you start but the urge to see some great work in the form of colorful murals, graffiti-filled installations, local life and my love for wall art kept me going. And there were many others like me. 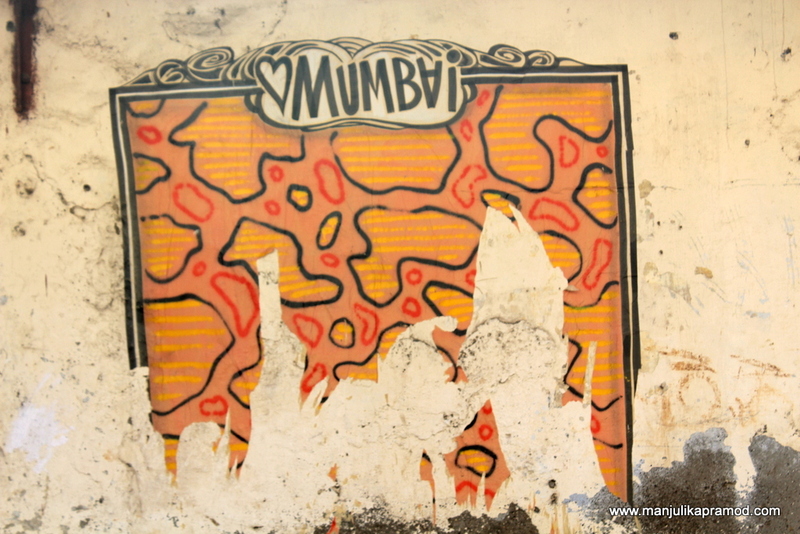 Now, that the rains have come in Mumbai, I fear that this wall art will fade away and will never be the same as created. The colors will be gone. Hence, I am writing this blog to keep the memories intact forever. I also wish that such plans to face lift the place keep coming up. The area needs better infrastructure for the people associated with the fishing trade. 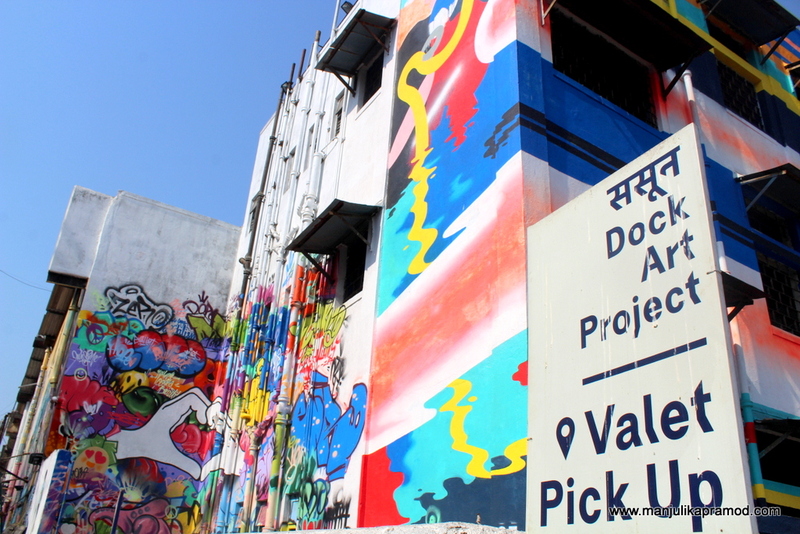 Making the dock more tourist friendly, the theme of the art being related to Koli community is definitely a great idea to begin with but real good will happen when people there will start living a good life. There is a proposal according to which a garden and maritime museum will soon be coming around this dock. 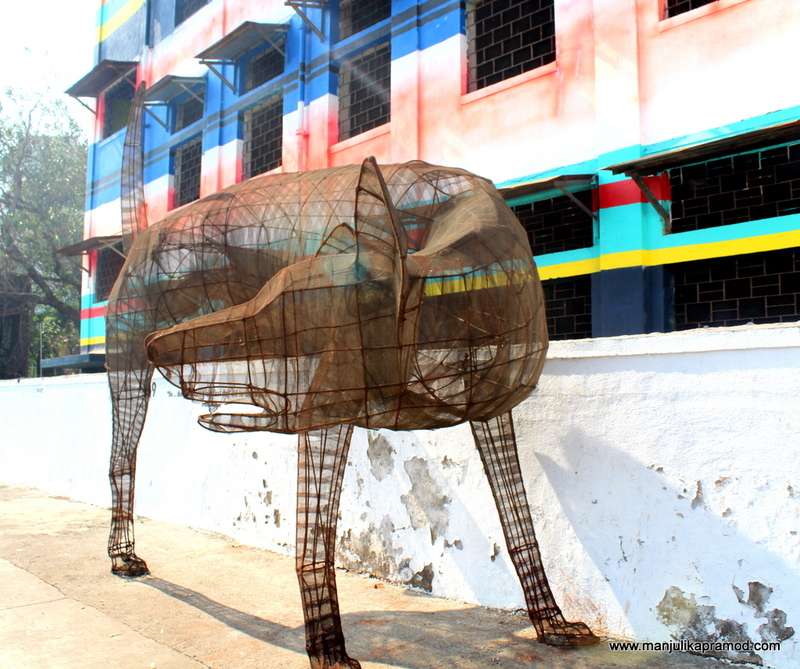 When the exhibition was at its peak, I missed visiting the place because I was not in Mumbai. However, the moment I learned about it, I was headed there to see that was left. 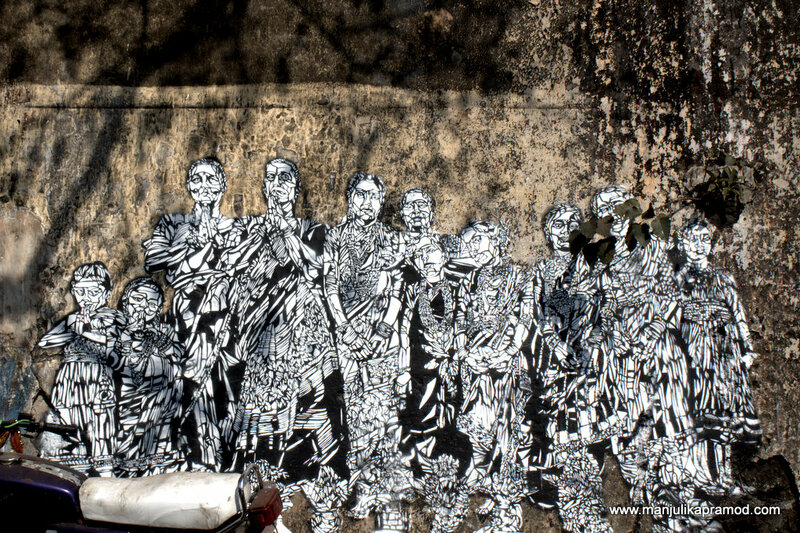 I thoroughly enjoyed those portraits of Koli women and mythic sea monsters. 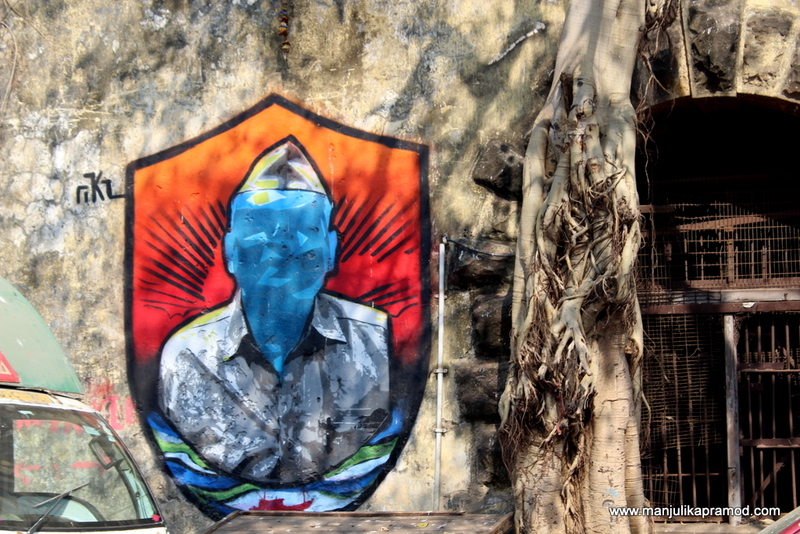 The entrance to Sassoon Docks! 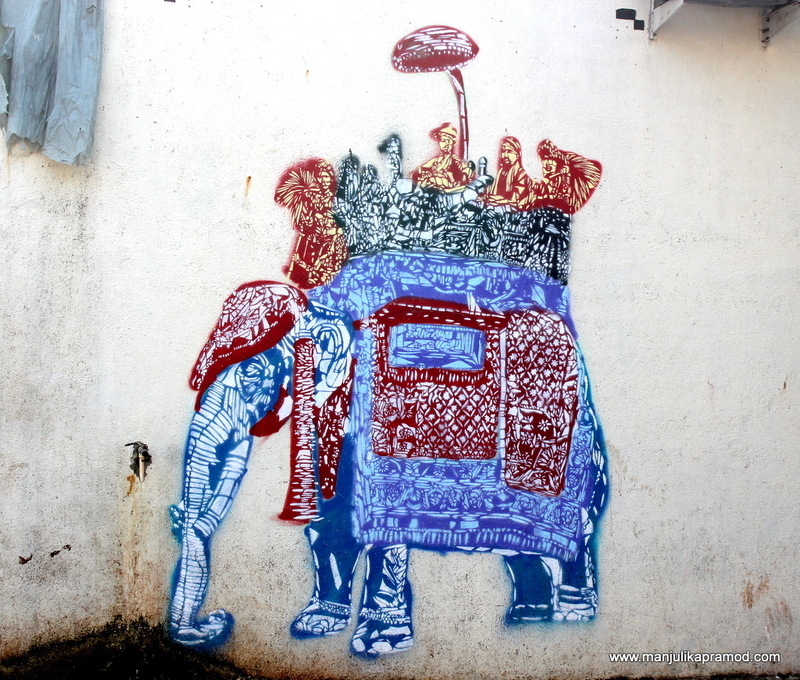 Below is the first art work that my eyes fell on and I knew that the drive from Ghatkopar to Colaba was worth it. And here begins my art walk. Join me. 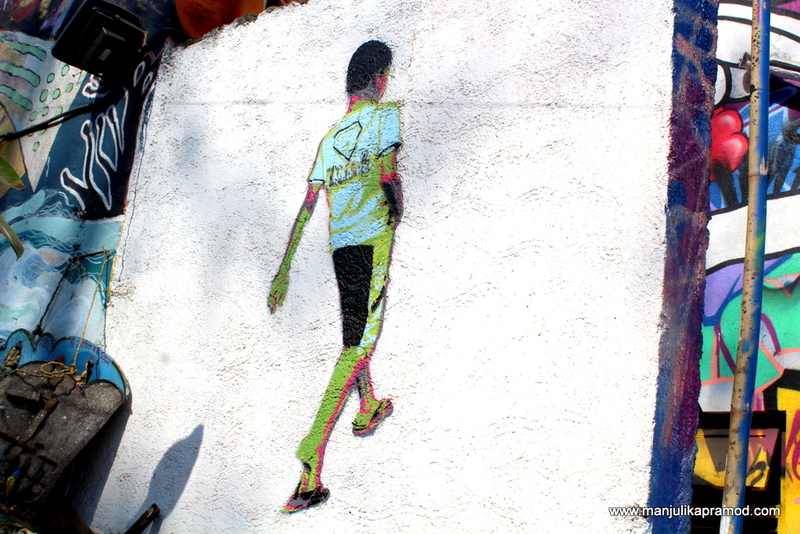 Don’t forget to tell me which mural is your favorite while I will share mine. 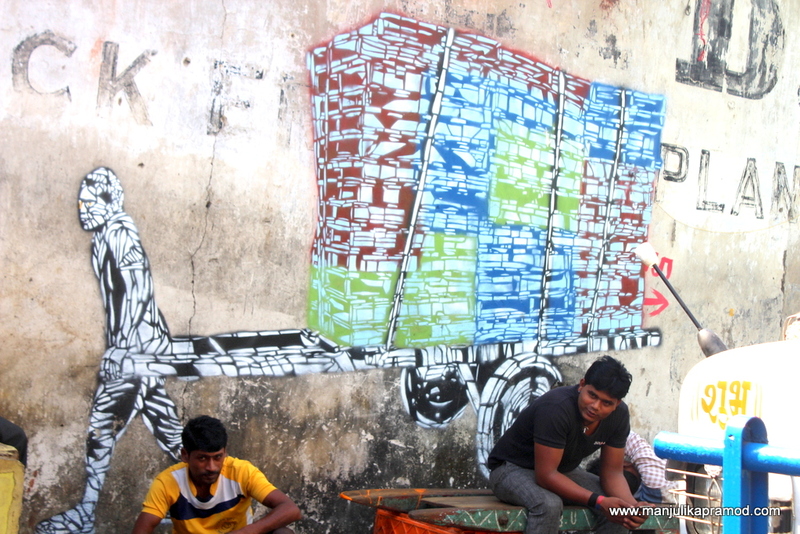 These pictures will also show a glimpse of life and its people at Sassoon Docks. This is about the Koli women who have a significant role to play in fishing trade. 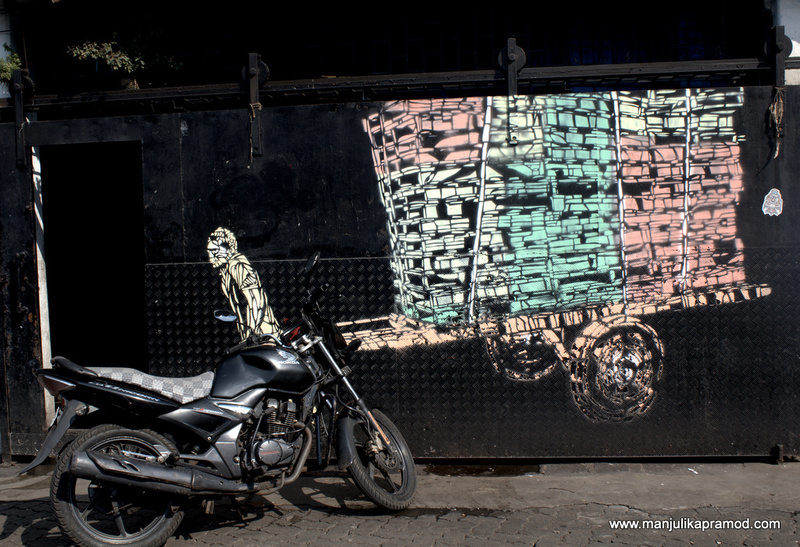 As I walked through, I got a chance to see a glimpse of the local life. A young boy with many dreams but lost in the fishing world! This is how I saw this art work. 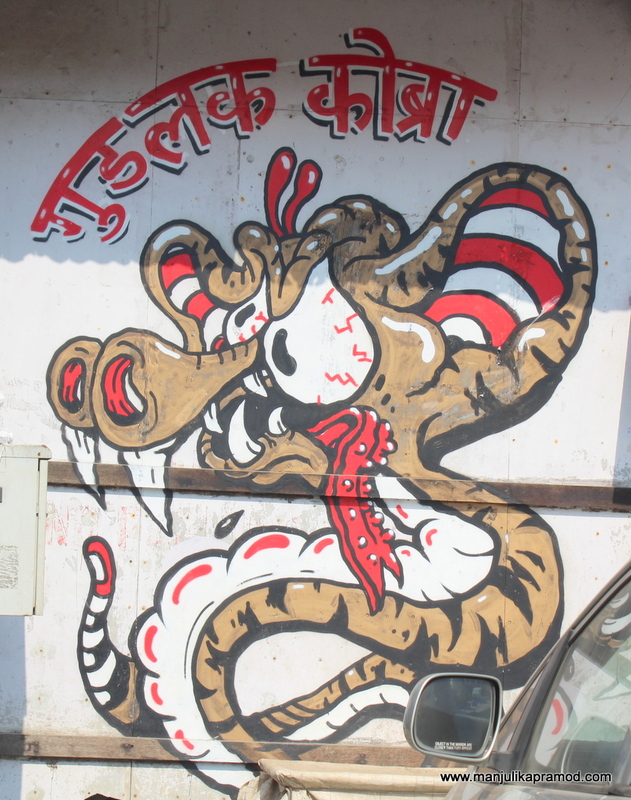 I couldn’t find any story related to Good luck cobra. There must be one. 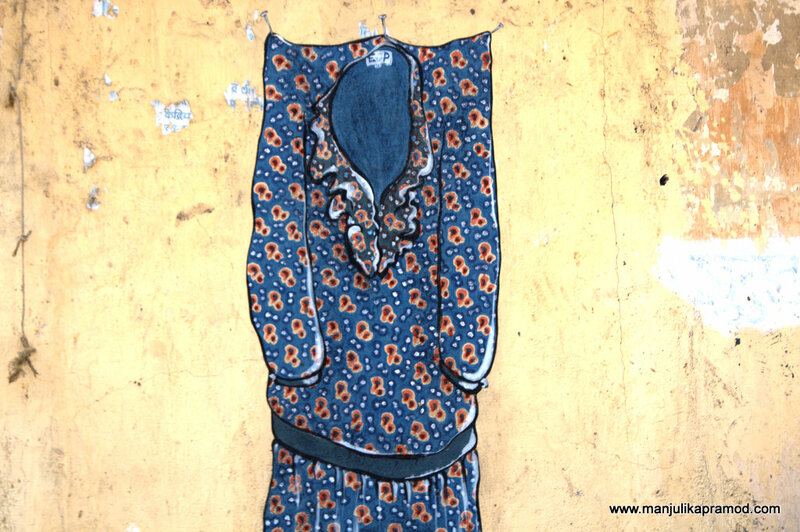 A peek into the life of a Koli woman as to how she takes care of her house. I was there in the afternoon and hence missed the real fishing scene of the morning hours. At every turn, there was something fascinating to see! The container in which fishes are stored and transported. My favorite one – the lady holding her big catch! This was huge and extremely vibrant. And when I thought it was over, there was more. Since the inside was closed and I could not see the installations that were put during the exhibition, I did find one of these installations on the outside. 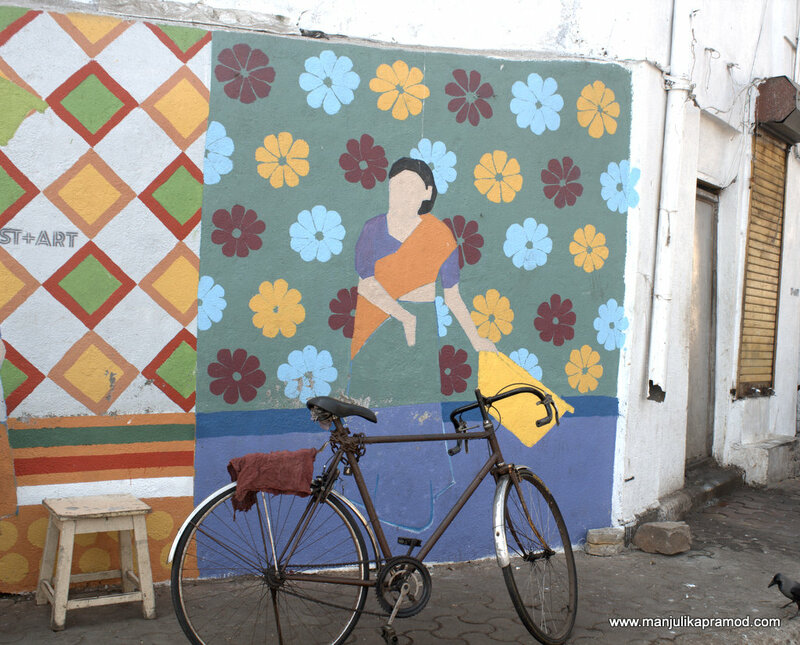 The rains in Mumbai will wash these vibrant colours but the memories will stay intact. 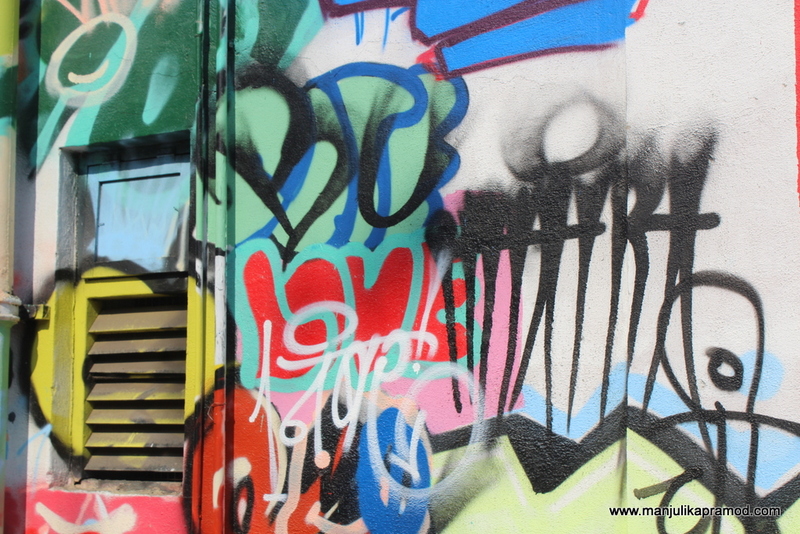 I was thrilled to see such gorgeous colors take over the stench of Sassoon docks. Hope you had a great time exploring a little bit of Sassoon Docks with me. You must visit yourself for the real experience. 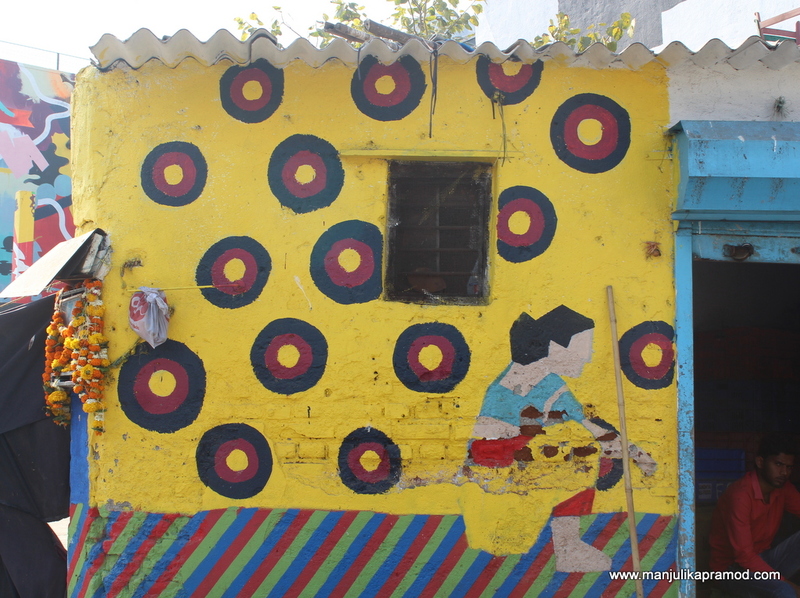 The next post will take you to the slum area of Asalpha that has been painted in vibrant colors. Yes, totally. It is a fishing district.